The 2019 Mustang Shelby GT350 has some new performance upgrades over the previous year. The chassis bracing is stiffer, magnetic ride control, Brembo brakes, and Michelin tires. Outside, there is a new front grille design that is mores closed and a new rear spoiler design with optional Gurney Flap. Inside there is a new 12-speaker B&O Play audio system and dual-zone automatic temperature control. 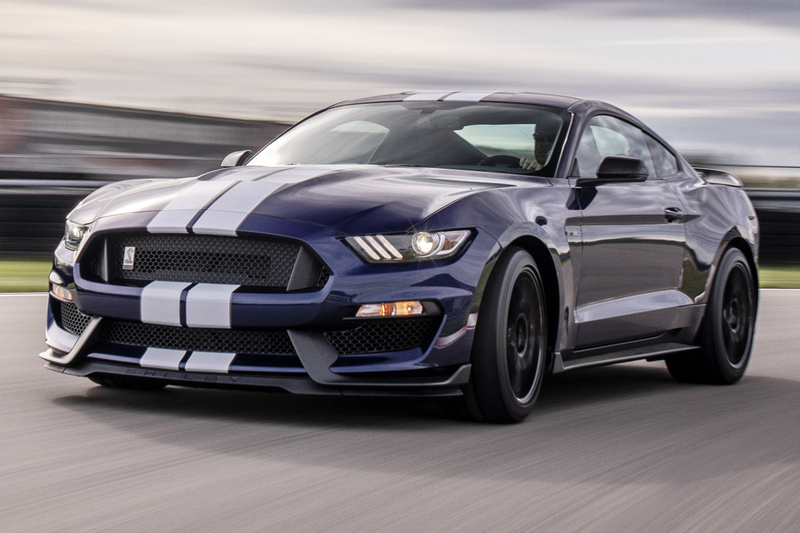 The GT350 starts at $51,140. There is also a racing version, the GT500R with 19 inch ebony black-painted carbon fiber wheels with red brake calipers, Michelin Pilot Sport Cup 2 tires, carbon fiber rear wing, large front splitter, and performance deletes. The GT350R starts at $67,135. Go back to the MustangAttitude.com Home Page.